One of the most impressive features in this version is the content-aware move. I shot this photo (below) in a recent project, and I remember the client wanted me to move the girls closer together. With content-aware move, all I have to do was select the object… and well, move. I have to admit, this was one of the features in my wishlist that I didn’t really expect to materialize. 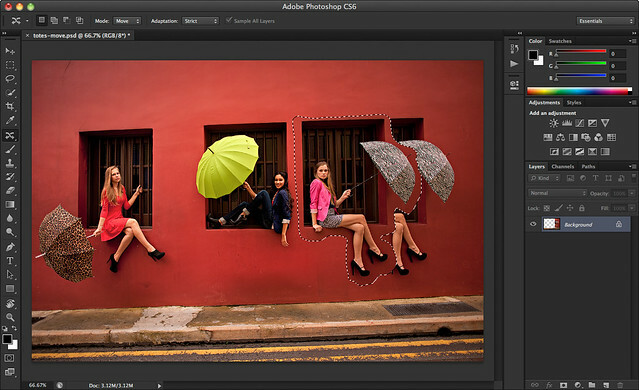 I do have to mention though that it works best on photos with simpler backgrounds. And if you’re one to pixel peep, you will find some warped textures resulting from the move, but this is easily remedied by the heal tool. Fortunately, with extended controls in Adobe Camera Raw 7.0 on highlights and shadows, I’m able to bring out the details in the shot. So now you can worry less about getting the exposure right in sudden unexpected situations like this… just focus on composing and capturing the moment. Oh and yeah, this is the main reason why I prefer shooting in RAW. 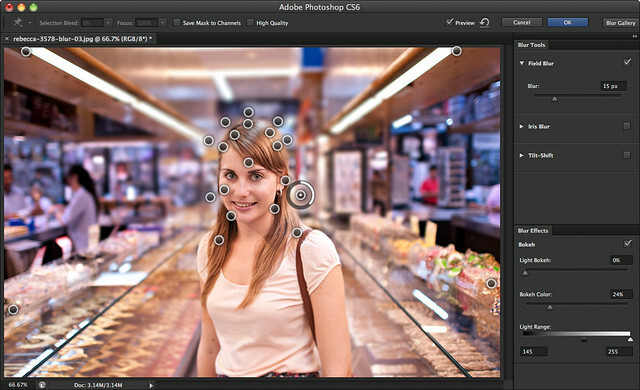 I’m not a big fan of simulating bokeh or background blur in photoshop because it never comes out right. But with the new ‘Field Blur’ function, you can select multiple points from an image and dictate the amount of blur or (non-blur) for each point. If you have a good understanding on how bokeh works, with careful analysis, you can simulate better background blur thus making your portrait subject stand out more naturally. This is a portrait I took on a past client project. 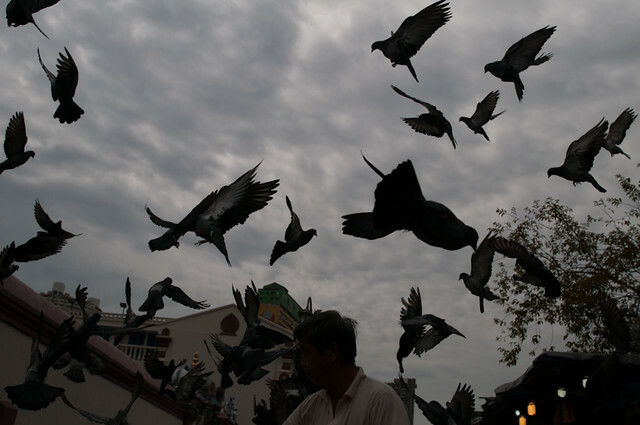 For this shot, I used a 24mm lense wide open at f1.4. Although I’m happy with the shot, I sort of wished there was a bit more blur in the background to make the subject stand out more. 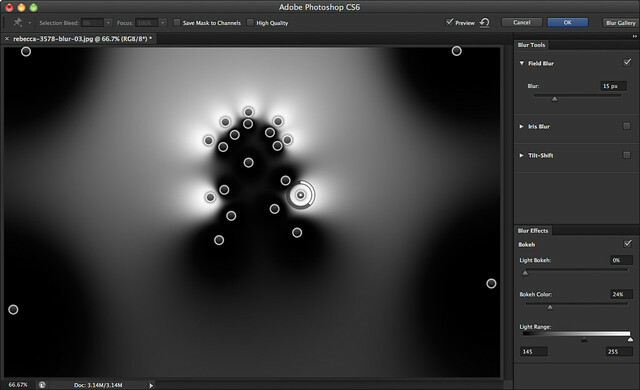 I used photoshop CS6’s field blur function to select several points to blur and points to not blur. This is a preview of the blur mask. Areas in white are in blur, areas in black are not. Although this is not perfect, and I still prefer bokeh straight out of the camera, it’s nice to know this kind of feature exist in case you’ll need it for some few quick tweaks. 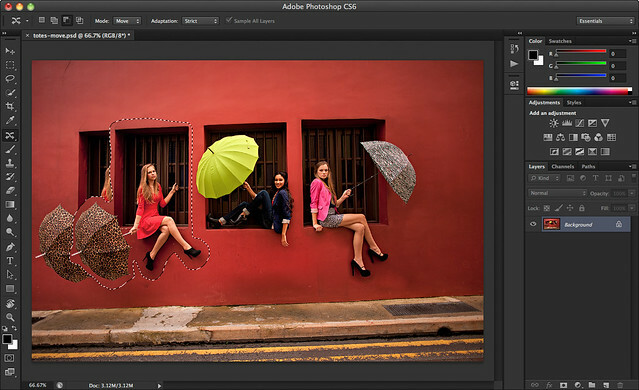 The features I listed above are only some of the new features and upgrades in Adobe’s latest Photoshop release. There’s a whole slew of new stuff which I think make this upgrade probably the most significant one so far through the years. New User Interface – This was the very first thing I noticed… and I instantly fell in love with it. I love the dark background, I think it gives focus to the image in hand. 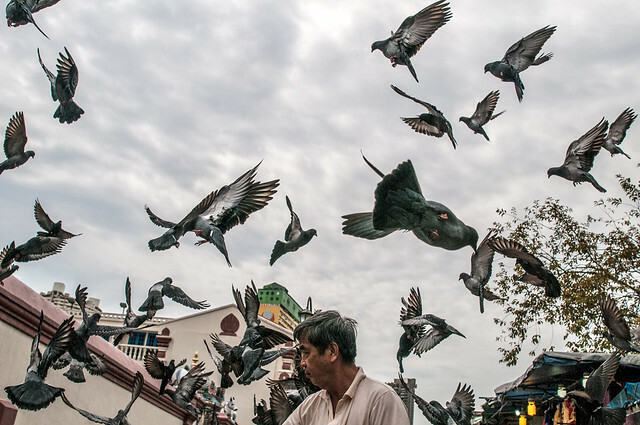 Adaptive Wide Angle – Another awesome new feature. It’s not a personal fave though, since I don’t do landscapes. But photographers who use an ultra-wide angle or fisheye lens will get a kick out of these. Check this video to see this at work. 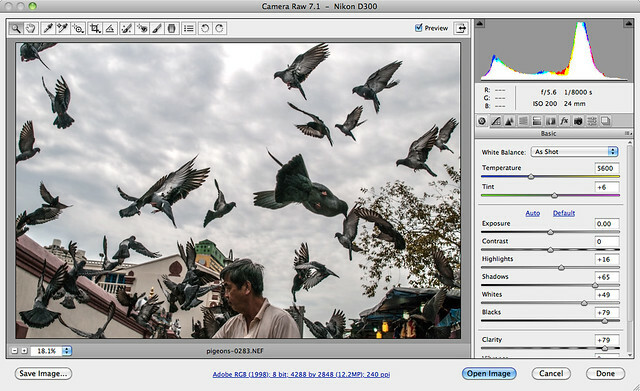 New Cropping Workflow – This is another pretty significant upgrade. The previous workflow makes it hard to preview your angled crops… now, they’ve applied the same cropping workflow as with Lightroom. Plus, they introduced the option to not delete the cropped pixels. Which means cropping is not non-destructive! Check this video to see how it works now. Edit Video – This is not meant to replace video editing software like Adobe Premier or After Effects. In fact, the controls are pretty basic. But I’ve played around with it and it’s a pretty nifty feature for some quick editing. And it’s a good start. Auto-Save – I’ve been burned so many times for not saving more often than I should. I’ve had my share of recreating complicated digital work because of system failures – auto save is a potential hero. I have to say CS6 is not yet perfect. Even with the huge step on content-awareness, it still only works best on simpler backgrounds. And the video editing tool is cool, but its functions are pretty basic. It’s a good start though. I still use Photoshop CS4 in the office at my day job as a graphic designer, and every time I go home to CS6, I can definitely feel the world of difference. Of the years that I’ve used Photoshop, I can say that CS6 is one of the largest leap forward in terms of features and usability. A lot of it’s new features are definitely geared towards making your work faster and easier, allowing you to focus more on creativity. Wonderful goods from you, man. I have understand your stuff previous to and you’re just too excellent. I actually like what you’ve acquired here, really like what you’re stating and the way in which you say it. You make it entertaining and you still care for to keep it wise. I can’t wait to read far more from you. This is really a wonderful site. Hiya, I’m really glad I’ve found this info. Nowadays bloggers publish only about gossips and net and this is actually irritating. A good website with exciting content, that’s what I need. Thank you for keeping this site, I’ll be visiting it. Do you do newsletters? Cant find it. I have been exploring for a little bit for any high-quality articles or blog posts on this sort of area . Exploring in Yahoo I finally stumbled upon this site. Reading this information So i¡¦m happy to express that I’ve an incredibly good uncanny feeling I came upon just what I needed. I so much indubitably will make sure to don¡¦t forget this site and give it a glance on a continuing basis. I simply want to say I am just very new to blogs and honestly savored this blog. More than likely I’m likely to bookmark your site . You really come with really good stories. Kudos for sharing with us your website. Thank you a lot for giving everyone remarkably special possiblity to read articles and blog posts from this web site. It is often very terrific plus packed with a great time for me and my office co-workers to search your web site no less than 3 times weekly to learn the new issues you have got. Of course, I’m so always pleased with all the excellent inspiring ideas served by you. Certain 2 areas in this article are honestly the most impressive I have ever had. Excellent post. I was checking constantly this blog and I’m impressed! Extremely useful information particularly the last part :) I care for such info much. I was looking for this certain info for a very long time. Thank you and best of luck. Great post. I was checking constantly this blog and I am impressed! Very useful information specially the last part :) I care for such info much. I was looking for this particular information for a long time. Thank you and best of luck. Great awesome issues here. I am very happy to peer your article. Thank you so much and i am taking a look ahead to contact you. Will you kindly drop me a mail? Great ¡V I should definitely pronounce, impressed with your web site. I had no trouble navigating through all tabs as well as related information ended up being truly simple to do to access. I recently found what I hoped for before you know it in the least. Reasonably unusual. Is likely to appreciate it for those who add forums or anything, web site theme . a tones way for your customer to communicate. Nice task..
magnificent post, very informative. I ponder why the opposite experts of this sector do not realize this. You must continue your writing. I am confident, you have a huge readers’ base already! I intended to put you a very small observation in order to say thanks a lot over again relating to the extraordinary techniques you have provided here. This has been quite unbelievably open-handed of you to provide openly just what a lot of people might have distributed as an e book to make some money for their own end, most notably since you might well have done it in case you desired. These concepts in addition acted as a great way to fully grasp that other individuals have the identical zeal really like my own to know the truth more and more concerning this condition. I believe there are many more pleasurable opportunities ahead for individuals who scan through your blog post. hi!,I love your writing so so much! share we keep in touch more approximately your post on AOL? I need an expert in this house to unravel my problem. Maybe that is you! Looking forward to peer you. What i don’t realize is in reality how you are not really a lot more neatly-liked than you may be now. You’re very intelligent. You realize therefore considerably when it comes to this topic, made me personally consider it from numerous numerous angles. Its like women and men are not fascinated until it¡¦s one thing to accomplish with Lady gaga! Your personal stuffs outstanding. All the time take care of it up! Thanks a bunch for sharing this with all people you really recognize what you’re talking about! Bookmarked. Kindly additionally visit my site =). We may have a link change contract among us!